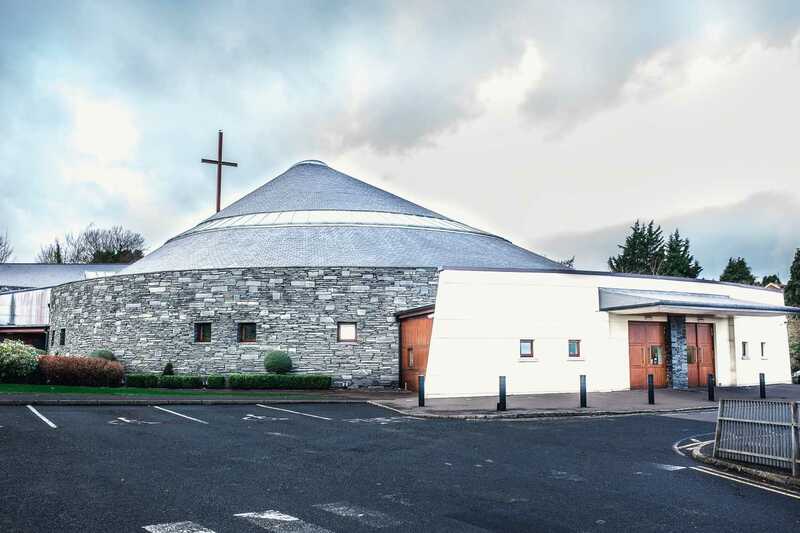 St. Bernard’s Church is based around a circular plan and seats 950 people. 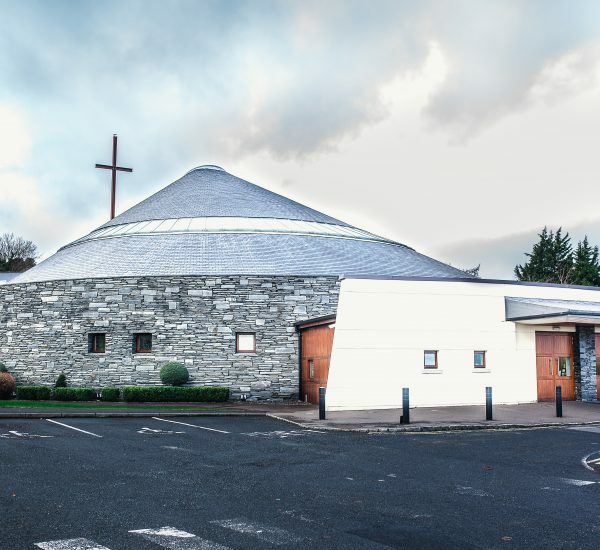 It opened in 2003, following the destruction of the previous church building by arson. 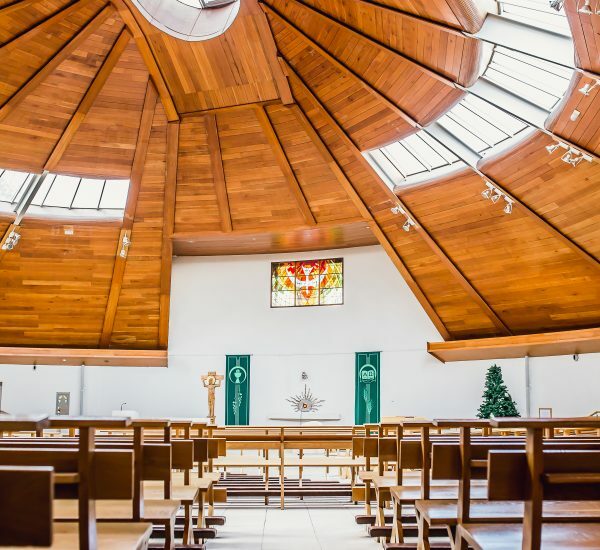 Albert Fry Associated to design a curved structure that echoed developments in local and European church architecture. 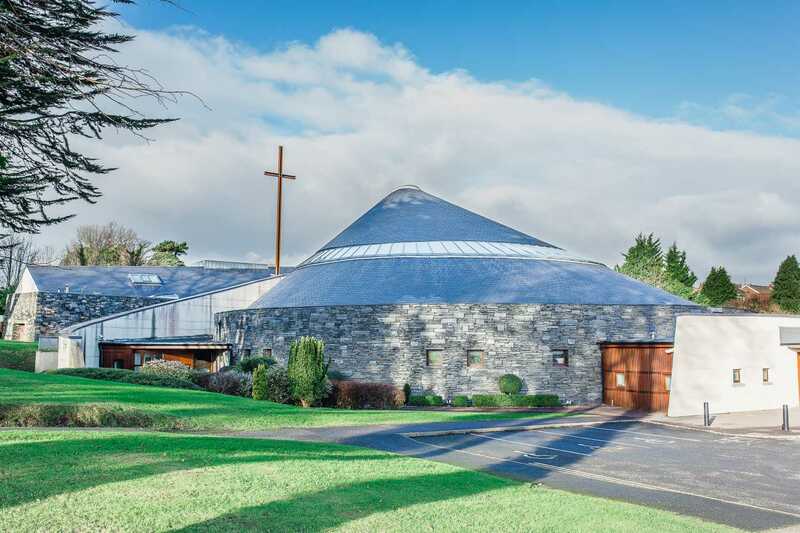 The roof is an offset cone chamfered to provide a roof light. 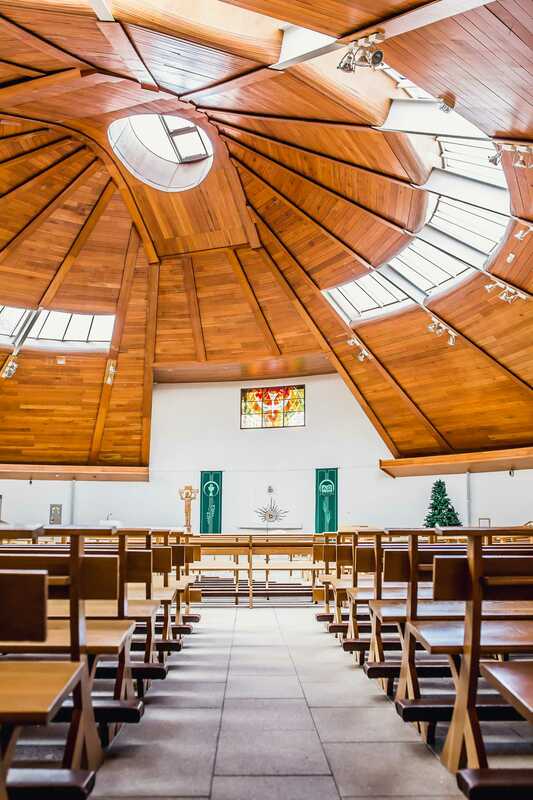 Furthermore, a continuous horizontal roof light rings the cone at a lower level giving a halo effect at night when lit from inside. 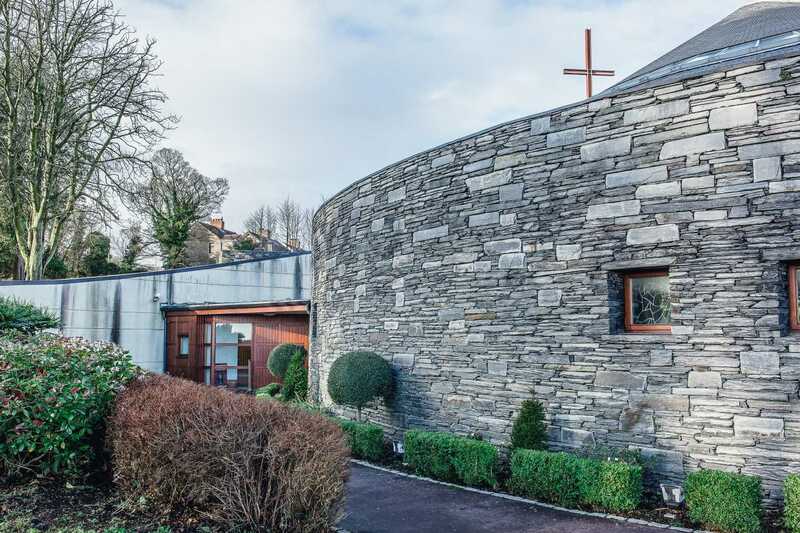 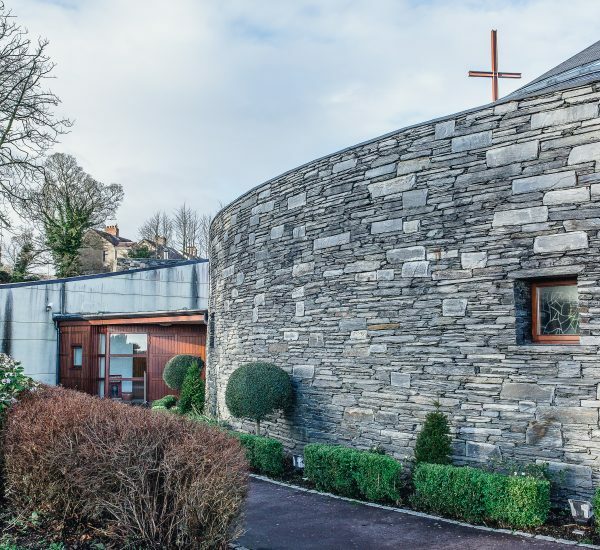 The contemporary design makes use of traditional materials associated with Irish church architecture including stone walls and slate roofs.